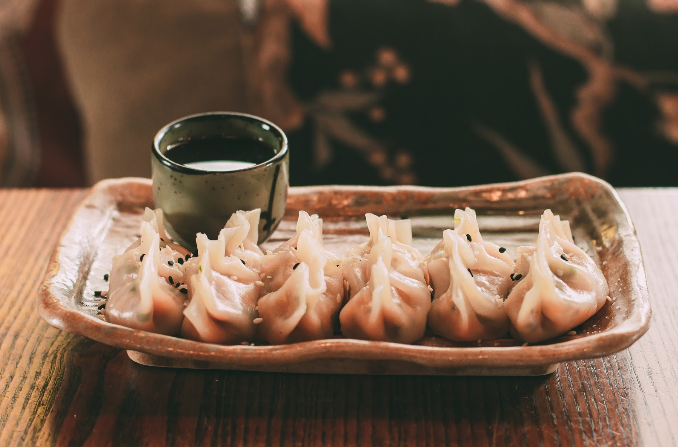 Dumpling Love: Why Go Gyoza? Almost every cuisine in the world has it’s own version of dumpling. They all look and taste deliciously different; are usually an integral part of a region’s history; tell a compact story of their lands traditional foods, and can be found everywhere from street stalls to high society restaurants. But it doesn’t stop there. Around the world we can find dumplings being steamed, grilled, baked, fried, boiled, hidden in stews, added to soups…the list goes on. So how does one qualify as a dumpling? They say food can bring nations together, or divide them. There is one dumpling that has gone the extra mile (you could call it the overachiever of the food group) and done both. During the worldwide mayhem that was World War 2, the Japanese invaded China (again). Whilst there, the Japanese soldiers were introduced to a delicious and conveniently wrapped food morsel called a jiaozi. The war ended with Japan surrendering and the soldiers retreating from China. Apparently the rule of “take only photographs, leave only footsteps” didn’t apply back then, so the Japanese returned home defeated in war but triumphant in their new knowledge (and probably backpacks stuffed full) of the Chinese dumpling. And they named him: Gyoza. Fast forward a few decades and gyoza are well known and loved all over the world. As far as we’re concerned the crescent shaped morsels tenderly wrapped in paper thin dough are the bee’s knees. And Snug Lounge is the perfect place to start your own dumpling love affair! Maybe you want something to share with your mates over a cold Tiger beer or bespoke Snug Lounge cocktail, or perhaps you’re ‘get your own these are my gyoza!’ type (I belong to the latter group, don’t judge us); either way, there is only one question you need to answer: Steamed or fried? The good news is that there is no right or wrong answer to this question. Nutrients are preserved better with steam cooking, as are the flavours. The super hot temperatures required to turn water into steam mean your gyoza cooks very fast, which results in a light, juicy dumpling that focuses on the filling as the star ingredient. Try our favourite steamed gyoza recipe here! Pot-stickers (like fried only better) are just-as-healthy versions of steamed dumplings. The main difference is the steaming happens after the tiny wee things have been browned in a pan for a few minutes. Water is then added to the pan and evaporated, leaving a delectable crispy-chewy bottom, which enhances the flavours of the filling. Here’s an awesome recipe for pot-stickers. Still not sure what you’d go for? The best way to decide is simply to try them both! Here are two of our favourite gyoza recipes to get you in the mood. Serve with the brown rice vinegar and a sprinkle of sesame seeds. Yum! Serve with the dipping sauce. Enjoy!